Apartment One in Duncannon, Co Wexford sleeps 4 people. 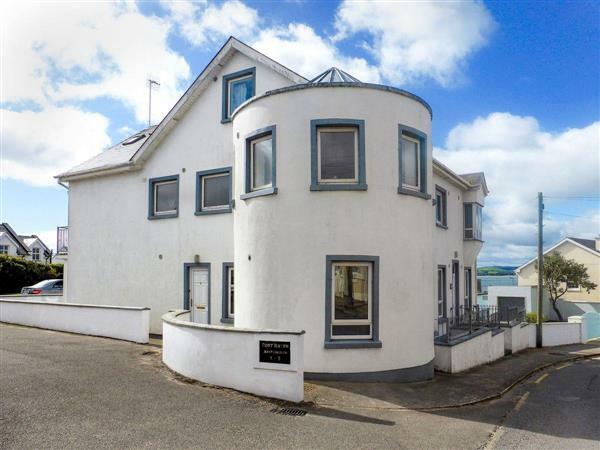 In the heart of the seaside village of Duncannon, this delightful home is ideal for a relaxing break and is just a 100 yard stroll down to the vast golden beach, pubs, restaurant, quaint fishing harbour and historic fort. This scenic area boasts numerous attractions including the Hook Lighthouse, Tintern Abbey, the Dunbrody Famine Ship plus the JFK Arboretum and Kilmakee Gardens. Waterford Crystal and Kilkenny Castle are also recommended. Shops and pubs 100 yards. All on ground floor: Living room/dining room both with wooden floors/kitchen with tiled floor. 2 bedrooms: 1 double, 1 twin, both with wooden floors. Bathroom with shower over bath and toilet. Elec storage heaters, bed linen and towels included. Video. Electric cooker. Microwave. Washing machine. Fridge/Freezer. Patio. Parking (1 car). No smoking please. Holidays at Apartment One run from Saturday to Saturday. For a better idea of where Apartment One is, you can see Apartment One on the map below. Do you want to holiday near Apartment One (W31631), you can see other cottages within 25 miles of Apartment One; have a look to find your perfect holiday location.